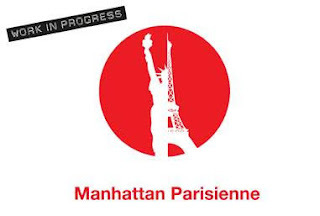 Updated 19th September_ In association with The Other Palace, Robert Mackintosh is delighted announce a ‘Work in Progress’ production by LesMis writer Alain Boublil: MANHATTAN PARISIENNE will have public sharings in The Studio at The Other Palace between Tuesday 10th-Saturday 21st. October 2017. MANHATTAN PARISIENNE is Directed by Bruce Guthrie with Musical Direction and Orchestration by Barney Ashworth; Choreography by Cameron Carver and Casting by Will Burton CDG. The full cast is: Noa Bodner as ‘Adam’s Mom/Waitress’; Richard Emerson as ‘Teddy/Agent’; Douglas Hansell as ‘Paul/Gareth’; James Lailey as ‘Busker’; Orlando Seale as ‘Gerard’; Gabriel Vick as ‘Adam’ and Marie Zamora as ‘Eve’. Noa Bodner was last seen on stage in “A Tale of Two Cities” at the Royal & Derngate and on UK Tour. Her other theatre credits include: “Testing The Echo/Moving Stories” at the National Theatre; “Playing for Time” at Sheffield Crucible”; “Macbeth” at Mercury Colchester and “Paper Dolls” at the Tricycle Theatre. Her screen credits include the feature film “World War Z” and the BBC TV series “Rome”. Richard Emerson has most recently been seen in “How to Succeed in Business Without Really Trying” at Wilton’s Music Hall. His other recent theatre credits include: “O’Neill’s The First Man” at the Jermyn Street Theatre; “A Chorus of Disapproval” at the Harold Pinter Theatre and “Hamlet” and “A Man of No Importance” at the Salisbury Playhouse. Richard also works as a lyricist and composer; his new musical is slated for production in London in autumn 2018. Douglas Hansell has most recently been seen in “Thirty Three” at the Leicester Square Theatre. His other theatre credits include: “Titanic” at the Charing Cross Theatre; “When Blair had Bush and Bunga” at the Pleasance Theatre, Edinburgh; “Going Bush” at the Bush Theatre and “A Doll’s House”, “Neighbourhood Watch” and “Wind in the Willows” in his native Australia. James Lailey’s theatre credits include: “Measure for Measure”, “The Oresteia”, “Henry V”, “Henry IV” pts. 1 and 2, “Love's Labours Lost”, “Romeo and Juliet” and “Helen and Bedlam” at Shakespeare’s Globe Theatre; “The Three Musketeers” at Rose Theatre Kingston; “Suspension” at Bristol Old Vic; “Treasure Island” at Theatre Royal Haymarket and “Mamma Mia!” at the Prince of Wales Theatre. His TV credits include: “The Sound of Music Live!”; “Where the Heart Is” and “Wire in the Blood”. Orlando Seale’s theatre credits include: “Bedroom Farce” for the Peter Hall company; “The Lightning Play” at The Almeida and “The Servant to Two Masters” for the Royal Shakespeare Company. His TV credits include: “Motherland” and “Count Arthur Strong” for BBC 2; “Mr. Selfridge” and “Lewis” for ITV; “The IT Crowd” for Channel 4; “Doll & Em” for HBO; “The West Wing” for NBC and “Ghost Whisperer” for CBS. Marie Zamora returns to “Manhattan Parisienne” having played the role of ‘Eve’ at 59E59 Theaters in New York. On stage Marie originated the role of ‘Cosette’ in the Paris production of “Les Misérables”. Her other theatre credits include ‘Kate’ in “Kiss Me, Kate” and ‘Chairy’ in “Barnum”. She recently performed the role of ‘Queen Marie-Antoinette’ in the Chicago world premiere concert in English of Boublil and Schӧnberg’s “La Révolution Française”. Marie is the co-book writer and the director of the 2010 Czech Republic production of “Marguerite” in collaboration with Michel Legrand and Alain Boublil. MANHATTAN PARISIENNE is a New York story of differences and attraction of two struggling artists and an unlikely meeting of minds. She is a Parisienne actress/singer. He is a Manhattan musician who has a history with Paris. Connected by music, they embark on a surreal journey through New York. MANHATTAN PARISIENNE features excerpts of songs from the classic French and American songbooks by songwriters including Jacques Brel, George and Ira Gershwin, Michel Legrand, Cole Porter and Charles Aznavour; and the London production will feature a new song called "About Love" with music and lyrics by Claude-Michel Schonberg and Alain Boublil. The play made its debut at 59E59 Theaters in New York.